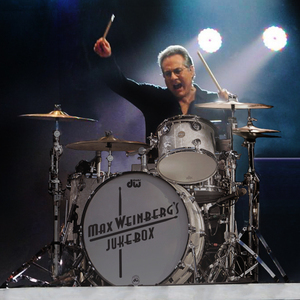 If you couldn’t tell by now, all of us here at Hopewell Theater are buzzing with excitement about our upcoming live concert by Max Weinberg’s Jukebox on April 25th! If you don’t know the gist of the show, then we’ve got you covered. This isn’t your average rock and roll show, it’s a truly interactive experience: Weinberg invites the audience to create the setlist in real time! Performing songs from the glory days of rock and roll, guests will get to choose from a video menu of over 200 songs — everything from the Beatles to the Stones to Bruce and The E Street Band’s biggest hits! And yes, you heard correctly, the crowd gets to yell out their choices and Max and his crack four piece group will play that night! Weinberg also stresses that Jukebox shows are not concerts — he wants audiences to be as participatory as possible and feel like they’re in something special. He chooses to think of these shows as “parties” instead. So be sure to come with your favorite songs in mind and get ready for a celebration of music unlike any you’ve been a part of before. Tickets are still available here, with an upgrade to a special VIP package as well! Don’t delay – get your tickets today!